Crater at the Lava Butte near Bend, Oregon. 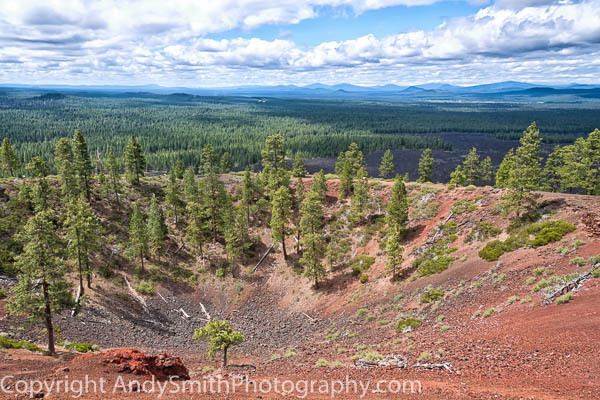 The Lava Butte is a 509 foot high cinder cone left from a volcanic eruption about 7000 years ago. Stunning views of the central Cascades are available from its top.